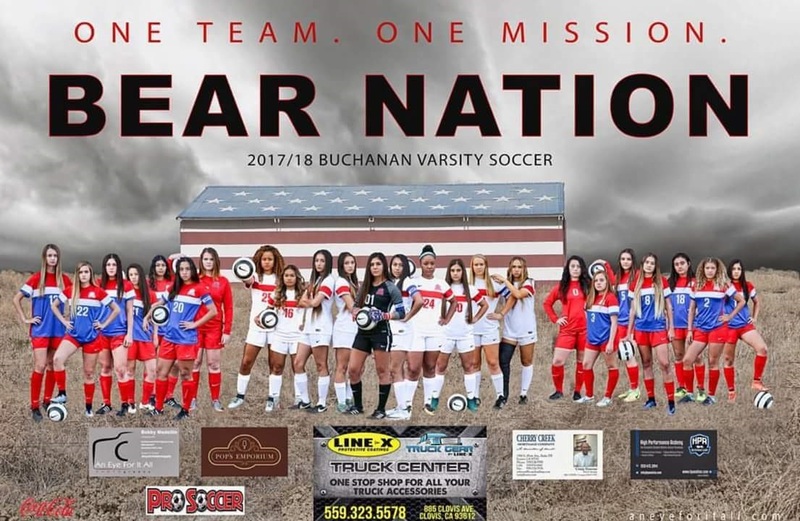 Buchanan High School Girls Soccer program has established itself as the preeminent program in the Central Valley. Having won 4 of the last 5 CIF Central Section Championship there is a strong tradition of excellence in the program. In addition to producing successful teams, Buchanan Girls Soccer also stands second to none when it comes to moving players on to the collegiate level and beyond. Anisa Guajardo represented the Bears (and Mexico) at the most recent Women’s World Cup. 2015 grad Caitlin Kreutz is currently playing for Cal Poly and the Phillipines National Team. Former Bear Elise Krieghoff is currently playing professionally for the Boston Breakers in the WPSL. Beyond this there are numerous former Bears currently participating in college soccer. Buchanan Girls Soccer is also lucky to have a first rate facility to call home. Constructed in 2015, the Varsity Soccer field is the envy of the section.